State Senator Dan Zumbach, a Republican from Ryan, has announced he is running for Iowa Secretary of Agriculture. Zumbach, who farms in the Ryan area, says agriculture has always been a big part of his life. Zumbach says most people know the passion he has for agriculture and how he has defended it in the Iowa Senate. “This will be my 40th crop I’ll plant on my farm and I think that 40 years will bode well as I serve as Secretary of Agriculture,” Zumbach says. Zumbach is currently serving his sixth year in the Iowa Senate. He says he has to get things in order to run because of certain deadlines. 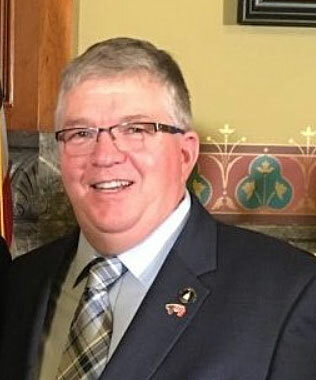 Current Ag Secretary Bill Northey has been nominated for a U.S.D.A. position, but his nomination is being held up. Zumbach says he would not seek the job if Northey stays in Iowa. “My plan is for him to be in D.C. and for him to get that nomination, that’s what everyone wants,” Zumbach says, “but if he choses to rerun, I have respect for him. I will step aside from this campaign is Secretary Northey ends up staying in Iowa and runs for his position again.” If elected to the Secretary of Ag position, Zumbach says he’d like to continue building on what Secretary Northey has done. Two other Republicans already have announced they plan to run for state ag secretary in 2018. Ray Gaesser, a farmer from Corning who’s a former president of the American Soybean Association, is running along with Craig Lang, the former leader of the Iowa Farm Bureau. One Democrat, Tim Gannon of Mingo, has announced he is running.